The following is a transcription of the Deer Park Cemetery located in in Arrowhead, British Columbia, Canada. When G.M. Dawson published his geological survey of the Lower Arrow Lake district in 1889, he noted the attractiveness and park-like setting of this area as well as the abundance of deer. The Deer Park Post Office opened on 1 June 1897 and closed 30 September 1967. The CPR Steamer service to the community discontinued around April 1954. Land in the area is believed to have been given to soldiers return from the First World War. With the creation of the Arrow Reservoir, Deer Park became of the communities sacrificed to the rising waters. Much of the community, including the Deer Park cemetery now lie beneath the waters of the Lower Arrow Lake. The Deer Park cemetery now lies under the water of the Arrow Lakes covered by rock and gravel. 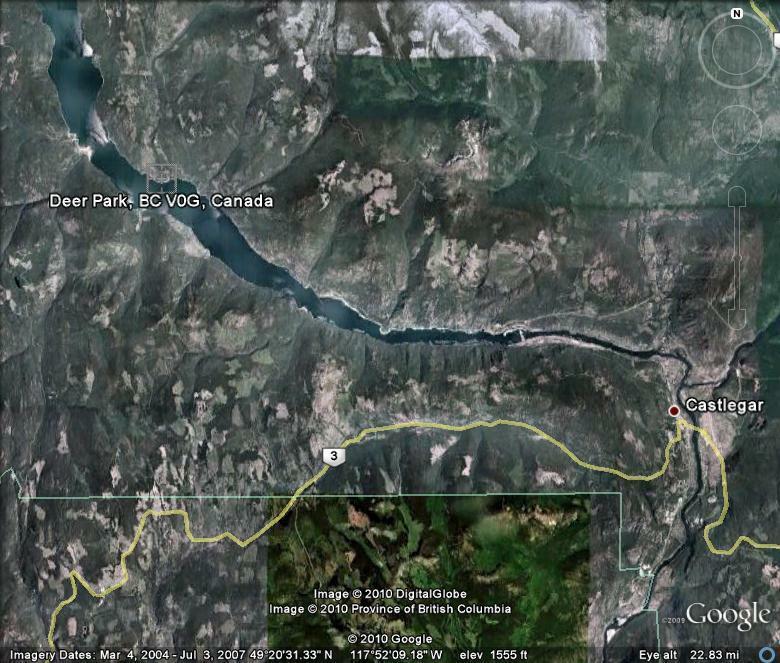 Deer Park is situated on the Lower Arrow Lake, approximately 36 kilometres north west of Castlegar, British Columbia. To reach the location from Highway 3A, turn north on Robson-Access Road and continue on Broadwater Road.